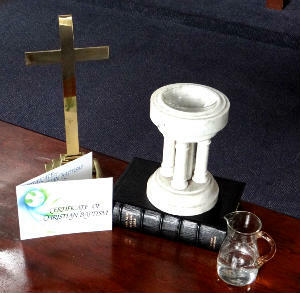 Baptism (Christening) is the welcoming of a person into the church. This can be as an infant, child or person of any age. To request a Baptism at The Square Methodist Church please contact us via the Contact Us page. Baptism is usually held during normal morning service on those occasions when the minister leads worship. Baptism shows the love of God for all people. It makes plain that, before and without any response on our part, God loves us and accepts us. The Methodist Church like most branches of the Christian Church, administers the sacrament of Baptism to both adults and young children. A Baptism is a joyful occasion and the people of The Square welcome all those who come to celebrate the life God has given us. The church provides ample space so that family and friends can be a part of this special occasion. 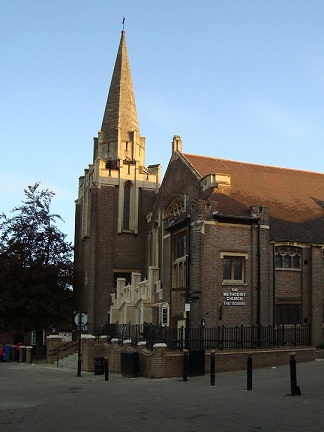 More information may be found on The Methodist Church in Britain website Baptism page.